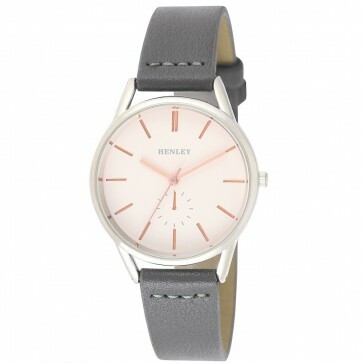 The Henley Women's H06147 is a modern time-piece for the modern woman. It's simple understated dial and subtle colour combinations give everything needed for that modern inner city design look. Polished Round Silver Case - 35mm. Semi-Oil Dial with Rose Gold Index and Sub Dial.